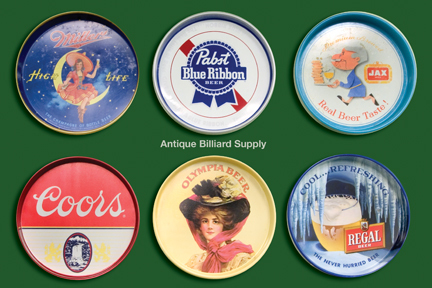 #10-16 Round collectible beer trays in a variety of colors and styles. Available as singles, or in sets of 6, 10, and 12 featuring brands or geographical areas. Suitable for wall mounting or as colorful shelf accents.